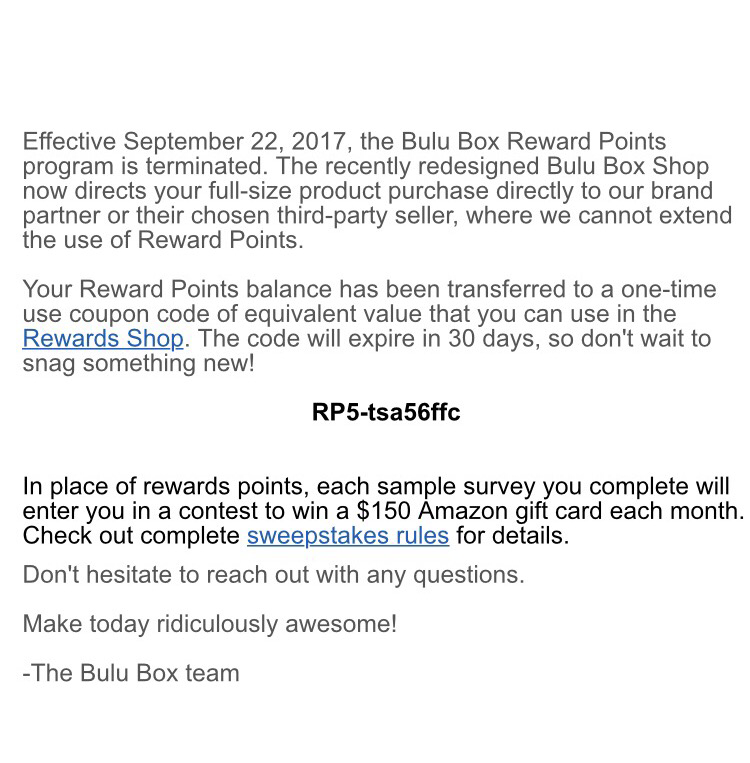 Bulu Box has switched platforms and made a change to their Rewards Program. On their site they say that you'll receive the coupon to use in the rewards store only if you had 25 or more points. Use the link below to get either the regular or weight loss Bulu Box 3 months for $20. This box is normally $10 a box.